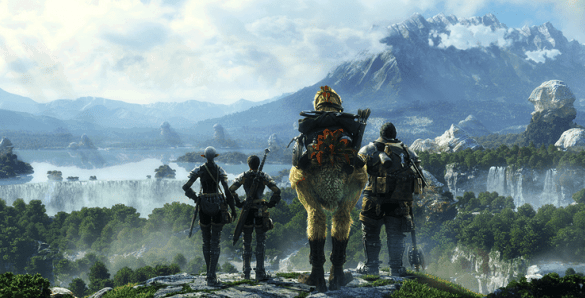 New posts on the official Final Fantasy XIV Reddit and game forums have shed some light on massive blanket bans that hit the game earlier today. Users have flocked to both mediums to express their disappointment with Square Enix’s handling of the situation. Gold spamming is rife in Final Fantasy XIV to the point where you’re completely unable to have any open conversation in shout chat without blacklisting the individuals spamming the chat channel. Current rumor suggests that players are getting banned with as little as 10 million gil on their account. The bans took place over the course of the weekend but the accounts were only fully restricted earlier this morning following a ninja-esque maintenance patch. Certain individuals have reported the response from customer service to be “shocking” as they have said on numerous occasions that they’re unable to help with this problem as they were not told anything outside of RMT accusations as the reasoning behind the bans. So don’t waste your time with the customer support as certain players have reported wait times of up to 90 minutes. The developers probably could have chosen a better time in which to launch their anti-RMT measures as many players are approaching the end of the free 30 day period. It’s safe to say that at least some of those banned will be unwilling to further their subscription should they be found innocent of gold selling related activities.